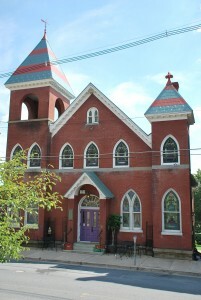 In August 2015, Beans in the Belfry wrote a new chapter in the history of Brunswick and of the old Reformed Church at 122 W Potomac Street. 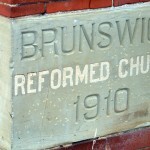 Brunswick, but as the town expanded, it found itself in the heart of the (now historic) downtown district. Just 53 members are credited as the first organizers. 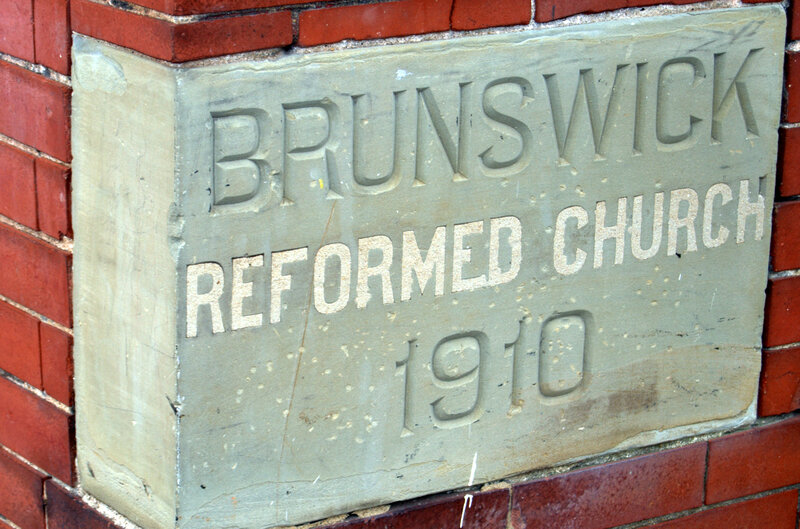 The beautiful stained glass windows, given as memorials of loved ones in the church, have long been a notable part of Brunswick’s downtown scene. 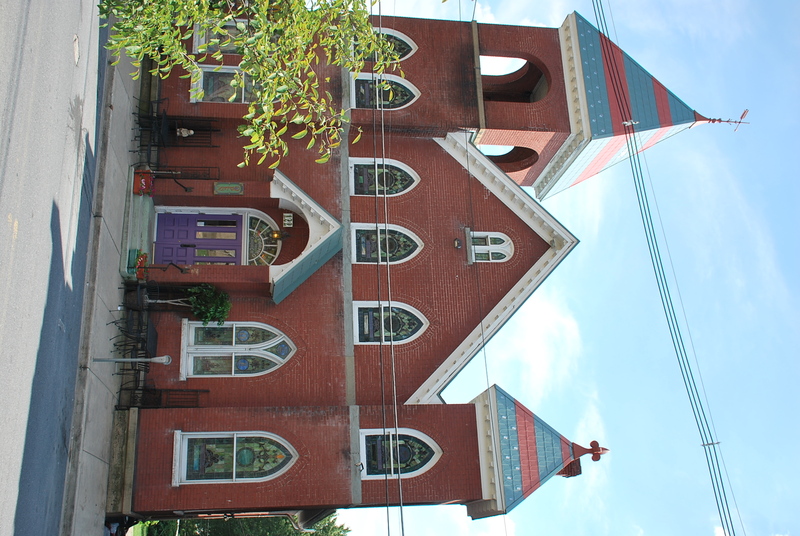 Over the following decades, the congregation grew to include Knoxville, Burkittsville, Petersville and even Lovettsville, until its last service was held on December 27, 1968. 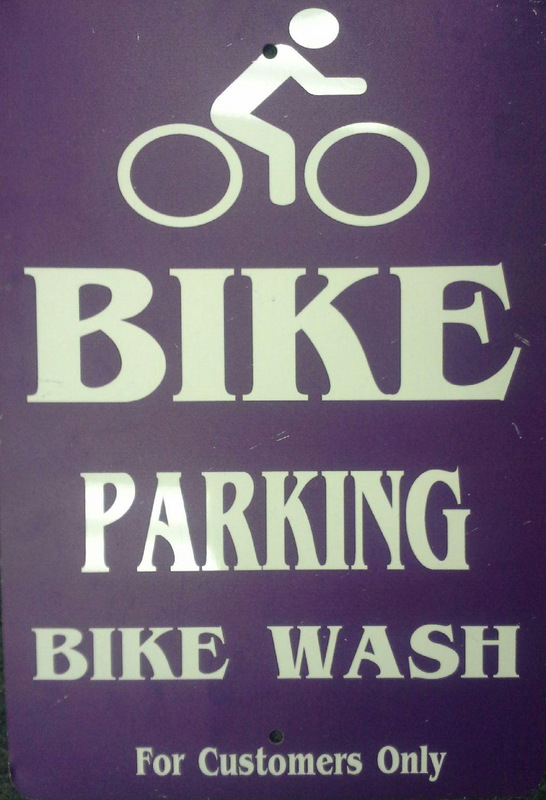 On October 16, 2004, Beans in the Belfry opened its doors in the century old brick structure to welcome the community, travelers, cyclists and music lovers into an eclectically furnished meeting place and cafe. An extensive menu satisfies just about all tastes for hot or cold refreshing beverages, a light meal, delicious baked goods and even craft beer and local wine. Much repair, inside and out, from sewer pipes to stained glass windows, was needed, the most visible and most recent being a new main roof and the new striped bell tower roofs, just completed this month. The metal shingles recall the same stamped pattern as the originals and were shipped from Texas by the only factory in the US that still makes historic metal shingles. The adventurous can climb into the large belfry by way of a fixed ladder and enjoy a scenic view of the area. In 2011, the large belfry was the site of an award winning independent film, ‘God and Vodka’ by Daniel Stine. The central scene captured a young couple sitting in the open air belfry reminiscing about growing up in their fictional home town (Brunswick). A mysterious disused old wooden door gives access to the smaller belfry. The chamber behind it might serve as a special romantic dining spot some day. raise your gaze and look for the newly clad striped bell towers of Beans in the Belfry in the 100 block. They beckon you to rest for a while, enjoy good eats, refreshing drinks and fine fellowship. You can also say a silent prayer and thank our creator for the beauty in life. 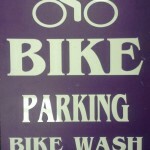 For cyclists, there is safe parking in the enclosed gravel lot and a bike wash.